I'm not a fan of coffee but I do enjoy drinking a good Turkish coffee, a espresso or plain coffee and milk with pastries, cake, muffins and my favorite banana bread. 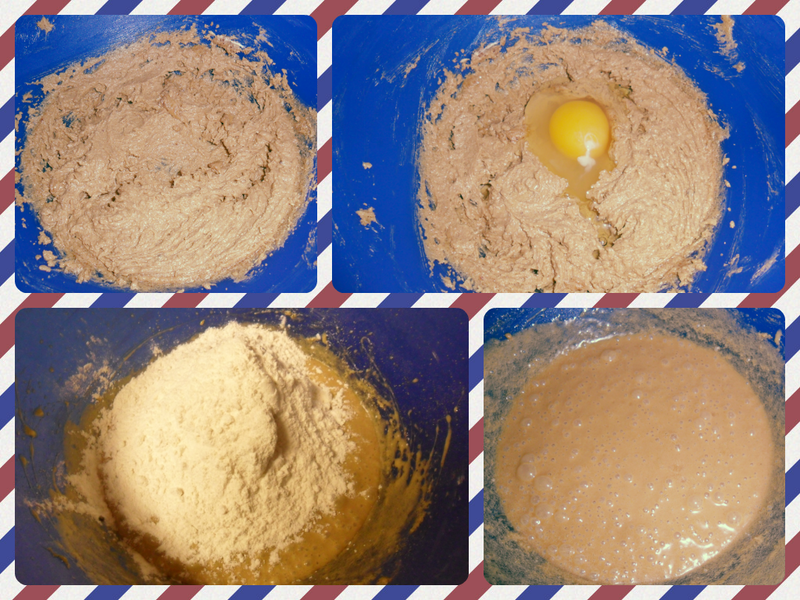 Whisk the butter and the sugar together until you have a fluffy cream, add the eggs 1 by 1, slowly add the flour, cocoa and baking powder, keep whisking, add the milk, the vanilla and the raisins/nuts and mix everything. Mash the bananas thoroughly and add them to the mix. Blend well. 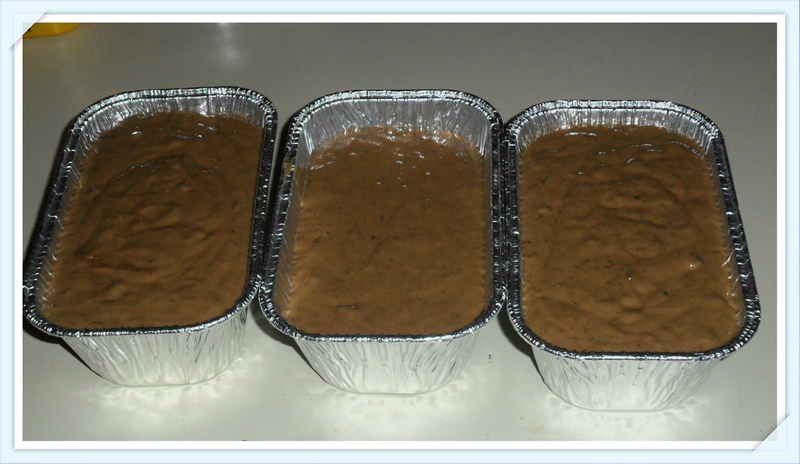 Pour the mixture on a 4x8 loaf pan (or 3 small ones like I did). Bake for 1 hour or until a toothpick inserted in the middle comes out clean. To serve remove form the pan slice and sprinkle some confectioners sugar on top. Enjoy with coffee!!! Thanks for this recipe! As soon as I saw the words 'chocolate', 'bananas' and 'bread', I rushed right over here. lol. Looks like a simple enough recipe. Something even I can do. Wonderful. Peace! Heaven! 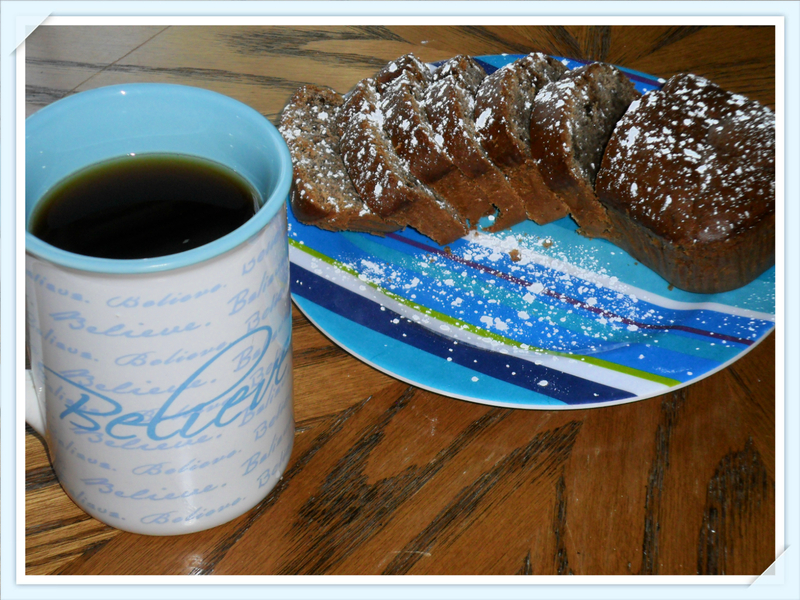 I love coffee, chocolate and banana bread!! I'll have to try this recipe! Thank you for sharing! What a nice recipe! 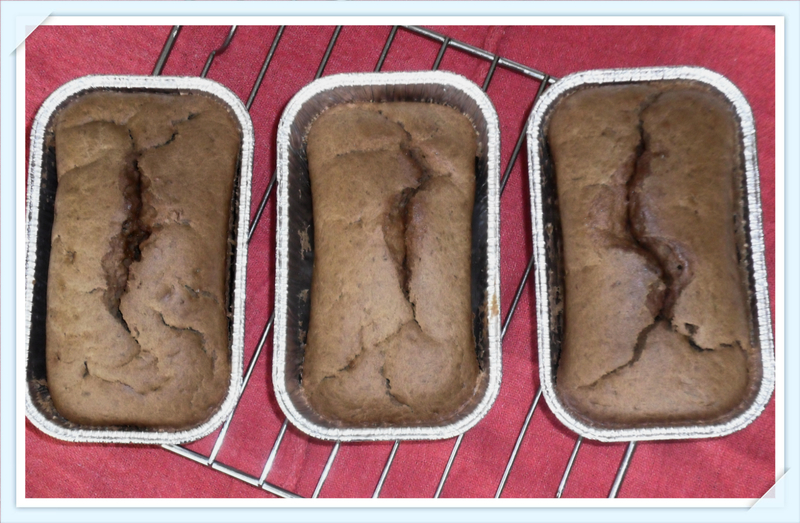 We always make banana bread and even put chocolate chips in sometime, but never thought to make Chocolate Banana Bread! Yum! This sounds delicious, I don't eat many sweets but I LOVE chocolate sometimes. Thanks so much for sharing! I can't wait to try it out!! 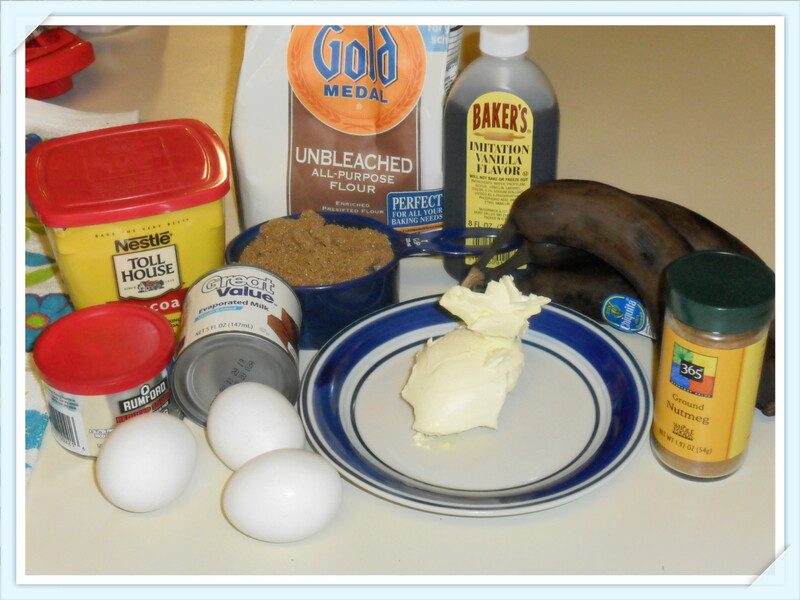 This sounds like such a great combo... coffee and banana bread! I like the idea of sprinkling some confectioner's sugar on top of the sliced bread! Yum!